Innovation Platforms: When, how and in what form? Innovation Platforms are fast becoming part of the mantra of agricultural research for development projects and programmes, and are increasingly being proposed and used throughout the field. Their benefit lies in providing a space for farmers, agricultural service providers, researchers, private sector and other stakeholders to jointly identify, analyse and overcome constraints to agricultural development. While innovation platforms have been successful in addressing agricultural challenges, there is a risk that they are promoted as a panacea for problems in the sector. “We need to think more critically about when, how and in what form innovation platforms can meaningfully contribute to agricultural development impacts,” says Dr Marc Schut, the lead author of a new booklet designed to help research, development and funding agencies more effectively use such platforms, entitled ‘Guidelines for Innovation Platforms in Agricultural Research for Development’. 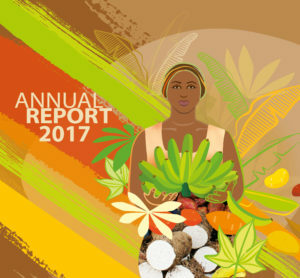 “Some time ago, I noticed that I was becoming increasingly annoyed with the innovation platform approach being opted as a silver bullet solution in agricultural research for development programs – especially for the sole purpose of disseminating (technological) agricultural innovations,” he adds. The guidelines support funders and project developers in thinking about when and in what form innovation platforms can contribute effectively to achieving research and development objectives. It provides information on key design and implementation principles, the financial and human resources that need to be made available, and makes suggestions for more effective monitoring, evaluation and learning. The guidelines also contain reference materials, Frequently Asked Questions and a decision support tool for research, development and funding agencies. Schut, M., Andersson, J.A., Dror, I., Kamanda, J., Sartas, M., Mur, R., Kassam, S., Brouwer, H., Stoian, D., Devaux, A., Velasco, C., Gramzow, A., Dubois, T., Flor, R.J., Gummert, M., Buizer, D., McDougall, C., Davis, K., Homann-Kee Tui, S., Lundy, M., 2017. 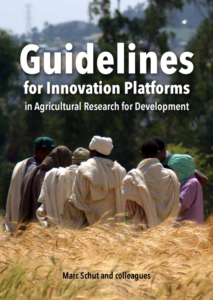 Guidelines for Innovation Platforms in Agricultural Research for Development. Decision support for research, development and funding agencies on how to design, budget and implement impactful Innovation Platforms. International Institute of Tropical Agriculture (IITA) and Wageningen University (WUR) under the CGIAR Research Program on Roots Tubers and Bananas (RTB), Kigali, Rwanda. This entry was posted in News, News & Events on Jun 26, 2017 by RTB.